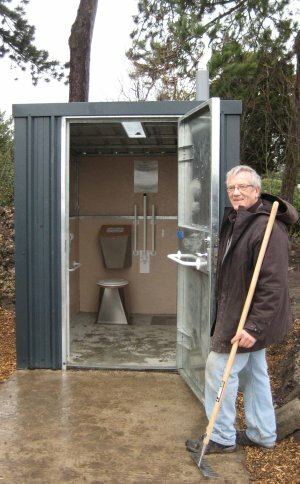 Our Full Access compost toilet is serving allotment sites with up to 250 plots. 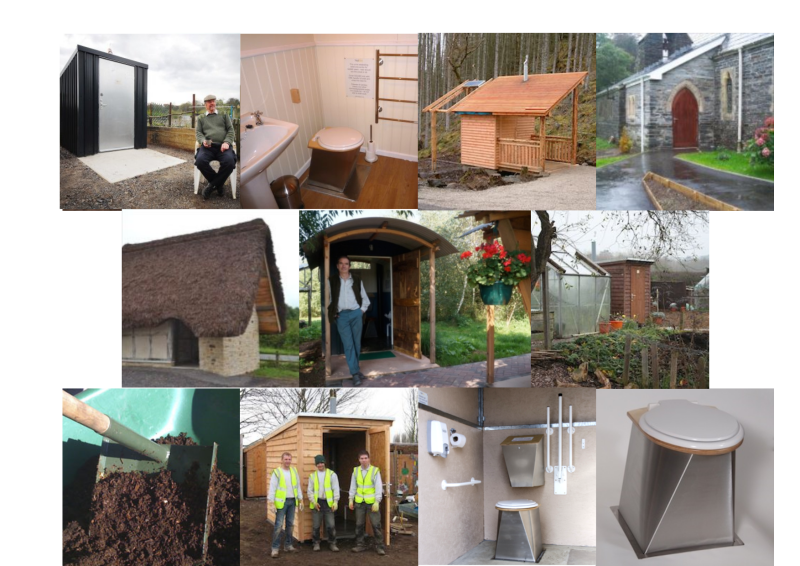 You could situate it in an area with raised beds for disabled users. Also great for community orchards. 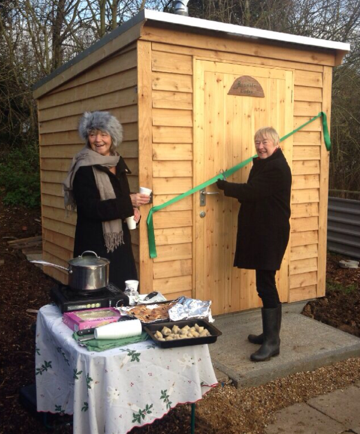 Description:The picture shows the opening celebrations for this NatSol toilet on a large allotment site on the edge of Runwell. 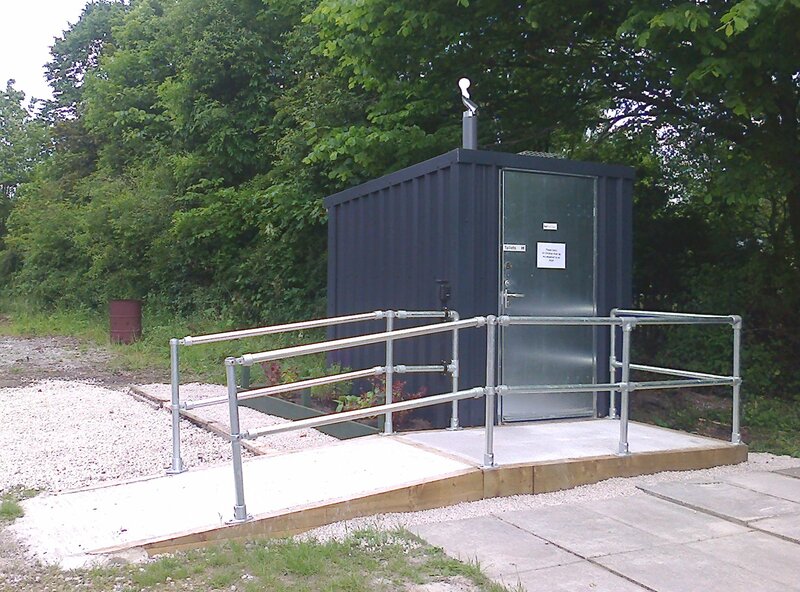 Description:The picture shows the toilet installed but awaiting the construction of an approach path. 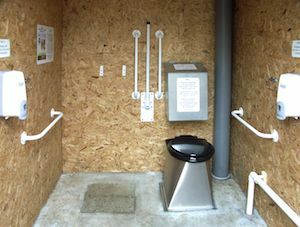 Description:An accessible toilet on a 50 plot allotment site with high ground water. The ramp and railings were installed by the client's contractor. 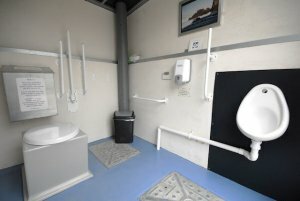 Description:An accessible waterless toilet with NatSol metal building on a site with 80 to 100 plots. Description:An allotment site used by the organisation Growing Communities. Description:The allotment group painted this out in white and blue and added a picture or two. The pedestal is our earlier GRP model which was superseded by a stainless steel pedestal in 2013. 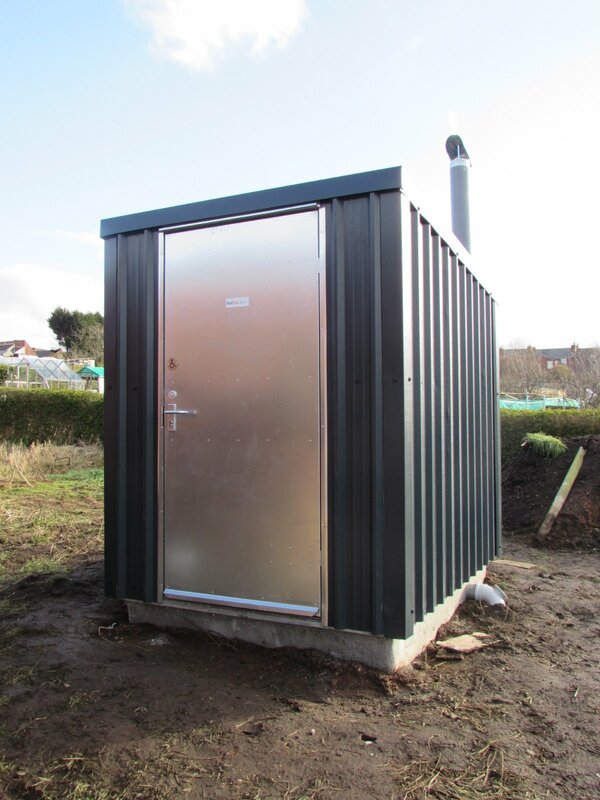 Description:We provided the components for a twin vault, urine separating toilet for this organic farm shop. 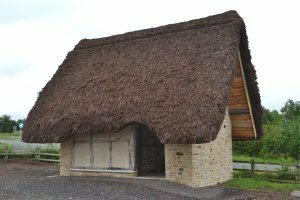 The owners designed and constructed this fabulous thatched enclosure. 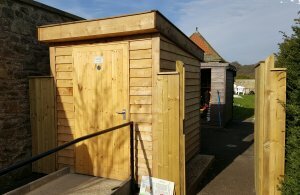 Description:A full access toilet with timber building. "It was a pleasure to put the unit together, the instructions were great and easy to follow. 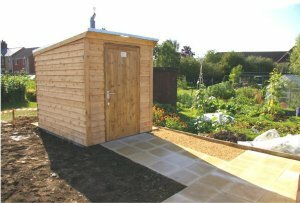 EN (the client) is over the moon with the toilet and with the disabled allotment area - they compliment each other very well. 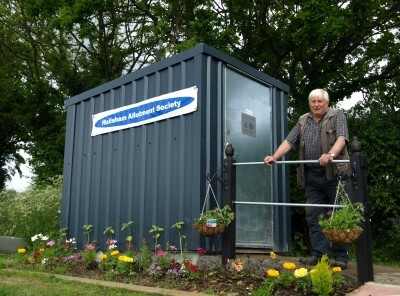 He is planning a grand opening for the disabled allotment area in early September." JR - Custom Made Cabins - the contractor.